The best winter cycling jackets have been designed with special features to withstand the harsh weather and keep you warm in the process. That is why some cycling enthusiasts love winter cycling and sometimes prefer it to cycling during other seasons. It is a great activity that energizes the body even in cold winter. Before we proceed to our recommended winter cycling jackets, there are a few considerations or features to take note of before you purchase a winter jacket this season. Ideally, good quality winter jackets must be breathable, waterproof or water resistant, windproof and durable too. Other unique features would come in as an added advantage. For instance adjustability, rear pockets or high neck features will come in handy too, depending on the weather or the individual using the jacket. On this note, depending on your budget, you should look out for one of our recommended winter jackets that are most appropriate for you. However, you shouldn’t trade off the breathability and the jacket’s ability to withstand the harsh weather for any aesthetic feature especially if you want to enjoy your winter cycling. This means you should try to find a balance and purchase a jacket that would keep you warm and dry rather than a beautiful design. For instance, winter cycling would require a heavyweight fabric or material that retains heat and warmth, but you wouldn’t want to overheat or sweat too much. Therefore, the best winter cycling jackets should have features to target these elements specifically. The Best Winter Cycling Jacket from our pick is the ARSUXEO Winter Warm UP Thermal Softshell Cycling Jacket. If you want to stay comfortable and protected from the cold and wind during winter cycling, then this soft-shell jacket is a great choice for you. It is breathable and would keep you warm while you cycle at a comfortable pace. It is also designed with amazing features to enhance its performance. Worth mentioning is its reflective logo that will make you visible even at night, thereby keeping you safe. However, on the other hand, we do not recommend any jacket that is neither waterproof nor water resistant. As a matter of fact, we strongly advise you not to invest in such a product if your intentions are for winter cycling. Any jacket that doesn’t have features specifically to keep you warm and dry during winter is not ideal for winter cycling. The ARSUXEO Winter Warm UP ThermalSoft shell Cycling Jacket is our top pick for the best winter cycling jackets. This is because it is designed with amazing features as well as additional features to make your winter cycling comfortable and fun. Just as recommended, this jacket has been designed to withstand the harsh winter weather, while keeping you warm and comfortable all through the ride. It is also a very affordable and budget friendly winter jacket. It has numerous features, some of which are discussed below. The ARSUXEO Winter Warm UP Thermal Cycling Jacket is a soft shell winter jacket. Soft shell jackets allow for more breathability than other jacket types. It features an inner fleece that will keep you warm throughout your ride. It is made from high-quality breathable materials that are water resistant. This means that the pores on this jacket are large enough to let out moisture but too small to allow ingress of water. It is a great feature to look out for in any winter jacket. This jacket has been particularly designed for the cold winter. It is also windproof. This means that it can withstand all the harsh weather conditions and keep you safe. A windproof jacket during winter, especially when cycling will keep the cold air out. This is also a very important feature to look out for. This jacket also comes with additional features such as the zipper pockets for storage of personal items. The zipper will keep your items in tact. This way you do not have to worry about your personal stuff falling off during the ride, especially if you ride on rough terrain. It also comes with a back pocket. These multiple storages are safe for keeping items such as keys, ID, wallet or purse, etc. The material used is a black material that is highly stretch. This is a great feature because it will allow for a wide range of fit. This means it would fit almost any individual. The sleeves are around long enough to protect your wrist from the cold weather. The most remarkable feature of the ARSUXEO Winter Warm UP Thermal Softshell Cycling Jacket is its reflective detail and stripes. This feature aids visibility and will keep you safe during your cycling. Reflective jackets are visible to motor lights especially at night and in deep snowy conditions and as such is a very important feature to look out for. Unlike hard shell jackets, this product is not completely waterproof. This feature was traded for breathability and as a result, cannot withstand the rain. This means that you should not use this jacket if you suspect a heavy downpour because it will not keep the water out. The 4ucycling Windproof Full Zip Wind Jacket is another great product in this category. It is also relatively affordable and offers satisfactory results. It is a soft shell jacket that has been specifically designed to protect you from the harsh winter weather during cycling. The design is also comfortable and breathable, making your winter cycling a fun experience. This product has lots of amazing features, some of them are discussed below. The 4ucycling Windproof Full Zip Wind Jacket uniquely features a three-layer composite fabric design. The material is stretchy and is very comfortable because it is breathable and keeps you warm. It would make a very valuable part of your winter cycling gear. This jacket has been designed with the latest technology. It is ergonomically designed and very stylish. It allows for great fitting and comfort. The fit of this jacket is on the slim side, and you do not have to worry about the baggy fitting common with some winter jackets. The 4ucycling Windproof Full Zip Wind Jacket is a versatile winter jacket and as such is appropriate for both indoor and outdoor use. It is very comfortable and breathable and would make your favorite winter companion. This jacket is also windproof. It is designed with the latest wind technology. It has a thermal lined inner layer and a cozy finishing. This accounts for its excellent warmth retention capabilities. This means that you do not need to wear so many clothes with this jacket as it has been designed for maximum heat retention during winter. The 4ucycling Windproof Full Zip Wind Jacket is well built and very durable. It features a full open zipper design for ease of use. The Zipper also has a left-hand orientation which is a great feature that can improve safety during the ride. This way, you can use the right hand to hold your handlebar, if the need arises. The most remarkable feature of this amazing winter jacket is the length orientation. This length of the back is a bit longer than the front side. This unique feature is great especially for winter cycling because it will keep your waist warm while you are bending to ride. It is also great for hiking and other outdoor sports. This particular winter jacket is not waterproof and as such will not be suitable for rainy days. It is, however, water resistant and can keep you dry in light rain for a short time. It also allows for maximum breathability. The sizes are smaller, so you should probably order about two sizes up what you normally wear. The Long Sleeve Thermal Barrier Cycling Biking winter jacket is yet another winter jacket worth considering for great results. It is designed with features that collectively add up to make your winter cycling a wonderful experience. Giving optimal protection from the harsh weather and keeping warm and comfortable at the same time. This jacket has amazing features and has been technically designed for serious winter cyclists. You should check this product out especially if you ride for sport. Some of its amazing features are discussed below. The Long Sleeve Thermal Barrier Cycling Biking Windproof Firewall Winter Jacket is a high performance long sleeved windproof jacket. With this jacket, you can keep the cold winter air out during your ride. Irrespective of your trail or pace, this design would keep you comfortable and warm inside. The chest and sleeve front material of this jacket has been designed from technically advanced fabric that is guaranteed to keep you dry from the inside. This material is highly breathable and very comfortable too. The fabric or material used around the chest and sleeves is water proof. It has in an impenetrable layer that keeps water and wind out. The rest of the jacket is made from very breathable and stretchy material for maximum comfort. This particular feature can keep you warm below 32 degrees Fahrenheit. This jacket is also machine washable and easy to maintain. It also features three elastic rear pockets and a small zipper pocket that is ideal for holding cell phones. The elastic pockets will help hold other personal items securely throughout the ride. This is a great additional feature to look out for especially if you like cycling with your personal stuff. The most remarkable feature of this amazing winter cycling jacket is its rubber waist gripper. This feature is great for preventing the garment to ride up. This way, the jacket will stay fit on your body. It also has reflective tapes that allow for good visibility. This feature will ensure that you are safe and visible during your ride, especially at night. The Long Sleeve Thermal Barrier Cycling Biking Windproof Firewall Winter Jacket is not entirely waterproof. And some part of the jacket cannot withstand very harsh windy situations. However, you shouldn’t take this jacket with you on a rainy day. This winter jacket is not entirely waterproof and is not ideal for rainy days. The Pearl Izumi Women’s Select Thermal Barrier Jacket is yet another ideal winter cycling jacket. It has been uniquely designed for women with great features for optimal comfort. It is relatively affordable, and it is made with breathable materials to enhance warmth. You can rest assured that this product will protect you from the harsh winter conditions. It is ideal for all women who love cycling. It is also appropriate for indoor and outdoor use. Howe, if you have a curvy feature, you may need to go up on size. The Pearl Izumi Women’s Select Thermal Barrier Jacket uniquely features a thermal barrier fabric design that is great for warmth and moisture transfer. This material is very comfortable, and it is ideal for winter cycling. It has been designed specifically for women. It is a soft shell jacket that is windproof and water resistant. This feature alone makes it an ideal winter cycling jacket. Ladies who use the Pearl Izumi Women’s Select Thermal Barrier Jacket are assured of protection from cold air or the wind irrespective of your riding pace. It’s water resistant capabilities will also keep you dry in the rain for a short period of time. The Pearl Izumi Women’s Select Thermal Barrier Jacket also features a full-length internal draft flap and a zipper garage that actively seals in warmth and keep you warm and comfortable throughout the ride. This is a great feature to look out for especially for women. This women’s winter cycling jacket also features one zippered rear pocket that is ideal for carrying your personal items securely. This way, you can carry items such as cell phone, keys and any important item you may need on your ride. The most remarkable feature of this women’s winter cycling jacket is its reflective elements which are ideal for low light visibility. This way, you can be visible to motor vehicles at night or in the mornings before the sun is up. This feature alone accounts for your safety on your trails even when in deep snow. Worth mentioning is the fact that this winter cycling jacket is not waterproof. So ladies using this product should note that it would not shield from heavy rains. However, it would keep you dry in mild showers for a very short time. This is because it has been made from breathable materials. The Gore Bike Wear Men PHANTOM 2.0 WINDSTOPPER Soft Shell Jacket is yet another great product in the winter jacket category. It is a professionally designed winter jacket that is very efficient for winter cycling. It is designed with features that will keep you safe from harsh wind and cold. It is a great product that is versatile and can also be used indoors and for all season. Gore is a very reputable company and has been producing quality products for a while now. This versatile jacket is well constructed with 100 polyester outer membrane. This fabric is windproof and helps protect from the cold winter especially during cycling. Just as the name implies, it is indeed a wind stopper. It is a soft shell jacket that is also breathable. The Gore Bike Wear Men PHANTOM 2.0 WINDSTOPPER Soft Shell Jacket is also water repellent or resistant. It is designed with very comfortable fabric that is not just breathable but also repels water to some extent. It also features a stretch material that allows for a very comfortable fit. This way there is freedom of movement because you would feel comfortable in this jacket at all times. It is also very easy to clean and machine washable which makes maintenance very easy. This jacket also comes with three easy access compartment pockets for storage of all personal items that you may need during the ride. This way you can keep your keys and phones securely at all times. Safety is not left out as this winter cycling jacket is designed with safety reflectors on the front, back, and the sleeves. This way, you are readily visible from any angle in low light conditions. The most remarkable feature of this unique winter jacket is its convenient detachable sleeves. This is why it is an all season jacket. The sleeves can be detached and attached easily with a zipper. It is also very lightweight and easy to store and maintain. This jacket is not entirely water resistant. On this note, it would not suffice on heavy rainy days. Also, it may not hold up the heat in very extreme winter conditions. The Columbia Women’s Mighty Lite III Jacket is another women’s winter jacket that is highly recommended for the cold winter season. It is a women’s jacket, so it is specially designed to maximize warmth and retain heat during winter. These features will keep you safe from the harsh weather conditions and are perfect for all round use. This means you can use this jacket both indoors and outdoor, whether you are cycling or not. It is designed with amazing features, some of which are discussed below. The Columbia Women’s Mighty Lite III Jacket is designed with thermal insulation that helps to keep the cold out. This way, you are protected from the harsh cold accompanied by the winter season. This feature is great for women because women are more susceptible to cold and need to be shielded from it. Hence insulating jackets are very ideal. It is designed with a breathable fabric that is also water resistant. This feature ensures that the jacket is very comfortable especially for winter cycling. However, it is is not waterproof, so you cannot use this jacket in the rains. The Columbia women’s mighty Lite III jacket also uniquely features drawcord adjustable hem. This way, you can easily adjust the hem of your jacket for size fit. It goes a long way to keep cold air out and moisture in. It is an ideal jacket for women. It also features interior security pockets and zips closed pockets. The interior pockets are ideal especially if you love to ride on rough or bumpy trails. This way you do not risk losing your keys or other personal items on a jolly winter ride. So it is a great feature to safeguard your personal items. Other great features are the comfort cuffs and thumb holes. Its outer material is made from 100 percent polyester. So this particular winter cycling jacket is an ideal windproof jacket. It is also very affordable, and it comes with a lifetime warranty. The most remarkable feature of this women’s winter jacket is its thermal reflective lining. This lining helps to reflect heat back to the body. This feature allows for maximum heat retention and will keep you warm all through the ride. The Columbia Women’s Mighty Lite III Jacket is not waterproof. This jacket will not protect you in heavy rains. It will, however, keep you dry for only a short period of time. Also, there are no reflective details in this jacket so that visibility might be an issue in low light. 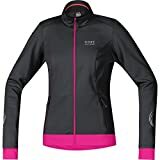 The GORE BIKE WEAR Women’s Warm Soft Shell Cycling Jacket is another women’s winter cycling jacket that is worth considering. It is of high quality and is highly recommended for all women who are particular about safety, warmth, and comfort. It is an ideal winter product and is designed with features to protect you from the harsh weather conditions especially wind and cold during winter cycling. It is a very versatile product and is ideal for both indoor and outdoor use. The GORE BIKE WEAR Women’s Warm Soft Shell Cycling Jacket is an ideal winter jacket because it is a wind stopper. It is designed with 100 percent polyester membrane. It is a warm, soft shell jacket that is ideal for all female cyclists during winter. This amazing women’s winter jacket gives a very comfortable fitting. With this jacket, you can be sure of always cutting a good figure on your bike. This is a great feature and is very efficient especially when you compare this jacket with saggy ones. This jacket is made from extremely breathable and water resistant fabric. This means that it would keep you dry for a while during cycling and outdoor recreation. It also includes zippered pockets which are very convenient for carrying keys and other personal items such as phones. This way, you can cycle in rough terrain without having to worry about the safety of your items. The GORE BIKE WEAR Women’s Warm Soft Shell Cycling Jacket also features reflective details. This allows for visibility in low light conditions. This is one of the most important features to look out for in winter cycling jacket. The most remarkable feature of this product is its stylish appearance. Being a ladies jacket, it is quite essential, especially for stylish women. You can get the comfort and warmth of this amazing product alongside it’s beautiful and stylish design. It would make a great choice of winter jacket for a lady. The Gore bike wear women’s warm soft shell cycling Jacket is highly breathable and as such is not waterproof. Hence, it will not be suitable for rainy days. Keep in mind, however, that the water resistant feature will keep you dry for a short time. Before you set out to purchase a winter cycling jacket, you need to assess or determine your immediate needs. For instance, you have two major options to pick from. It is either you go with a waterproof jacket or water resistant or soft shell jacket. A waterproof jacket is completely waterproof and would protect you from even the worst rains. A soft shell, on the other hand, is not completely waterproof but is more breathable than the waterproof. Hence, depending on your trails and riding conditions, certain trade-offs have to be made in other to choose the winter jacket that is best for you. The following features are very critical in getting a quality winter jacket. You should look out for these if you want a great winter cycling experience. Breathable material is very much essential especially if you would be cycling for long hours. This is because you would tend to sweat more. Hence you would require a jacket that is made with a material that can allow some moisture or heat to escape the jacket. A good quality winter jacket must be made of breathable material. This will increase comfort throughout your ride. You can only opt out of breathability if you want to acquire a waterproof winter jacket. A good quality winter cycling jacket even high-end ones are either waterproof or water resistant. This is because it is difficult to have a waterproof material that is also breathable. Hence, the trade-off for breathability is the waterproof feature. However, depending on your needs, you should purchase a winter cycling jacket that essentially suits you. For instance, if you love to cycle in the rain, you should pick a waterproof jacket in place of a water resistant or soft shell jacket. But since this is not common, breathability has taken the upper hand. A good winter jacket should also be essentially windproof. This feature will help to keep the cold air out especially when you ride uphill. This is why regular jackets are not ideal for winter cycling because not all jackets are windproof. 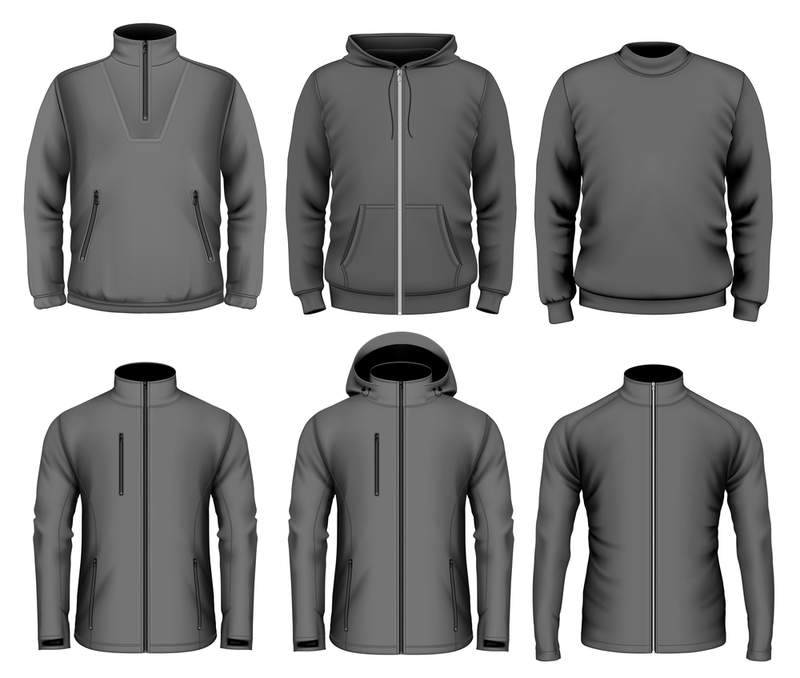 Windproof jackets usually consist of a polyester outer lining. Polyester is a good wind stopper or windproof fabric and is a very important component of quality winter cycling jackets. Another very important feature that most people tend to overlook is the reflective features. This should be taken into keen consideration for safety purposes. A good quality jacket should have reflective components that will aid its visibility. Since cycling is mostly carried out in the early hours of the morning, a reflective jacket will ensure that you are visible to motor vehicles, thereby ensuring safety. A non-reflective jacket may not be easy to site when the place is dark. Question: Can the water-resistant fabric withstand rain? Question: Can I use these jackets when it snowy? Question: can these jackets be used below freezing temperature? Answer: It depends on the individual products, some are designed to withstand freezing temperature while others are not. It is very important to check the information properly before you purchase a winter jacket. Road cycling or mountain biking is a great energetic activity that can be enjoyed all year round. Do not let weather changes discourage you from the activities you love. Instead, shop today, and be prepared for the season. The best winter jacket for cycling would have all the features necessary for an adventurous ride in place. Do not be left behind, buy a winter cycling jacket today and equip your cycling gear.